Alejandro González Iñárritu made history this past weekend by becoming the first filmmaker to win the DGA Award for Best Director two years in a row, for his work in The Revenant. 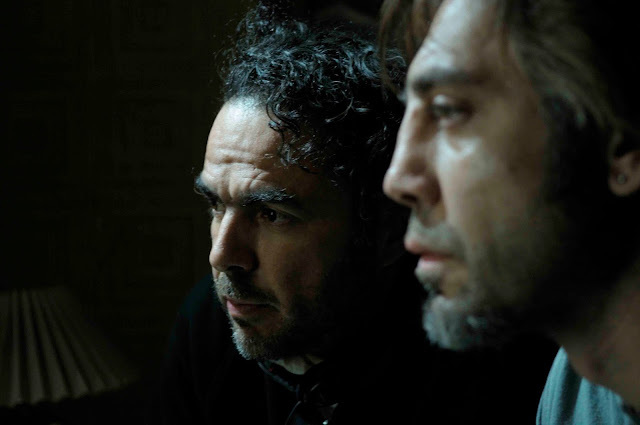 Last year Iñárritu became only the second Hispanic filmmaker to win the coveted Best Director Oscar for his work in Birdman or (The Unexpected Virtue of Ignorance), a year after Alfonso Cuarón became the first ever Hispanic Best Director Academy Award winner (for Gravity). I mention these significant cinephile facts because Iñárritu sometimes gets bombarded by certain hater-film-critics who are quick to harp on the calamity found in most of his films and not celebrate how special and nakedly emotional this filmmaker is. Yes, Iñárritu tells stories of fur-trappers who fight bears in the wilderness or sickly men who accidentally poison a room of immigrant sweatshop workers whilst juggling a plethora of other scandals. But these silver screen narratives have all been Oscar nominees and for the most part, critically celebrated and revered. The reason--or at least a good reason for this can be found in the delicacy and tenderness Iñárritu lends with filming the eyes of his actors. Whereas filmmakers like Spike Lee and Jonathan Demme trail-blazed such stylistic devices as actors breaking the fourth wall to look directly at the audience, Iñárritu takes his time to build up those infrequent direct gazes at the screen; a big strategy of his is how explicit he is with his cinematic influences. His films Biutiful and The Revenant take certain cues from Andrei Tarkovsky and Terrence Malick, lending a poetic and impressionistic visual prose amidst the overly busy plots--mainly of the former film. His earlier work with Amores Perros and Babel cut back and forth between multiple story lines, much in the spirit of the independent Mexican cinema of that time, but those films too were always grounded in the pathos of the eyes of his characters. Iñárritu definitely sees life as a beautiful chaos--at least in the films he makes--and yet the bravery he emotes comes in still trying to find the tenderness, that special, fleeting, grandeur yearning for human connection and purpose in the midst of tragedy. Thank you for writing this short story in your article. It was quite terrefic. I would like to read more about this.You should look forward to write more.